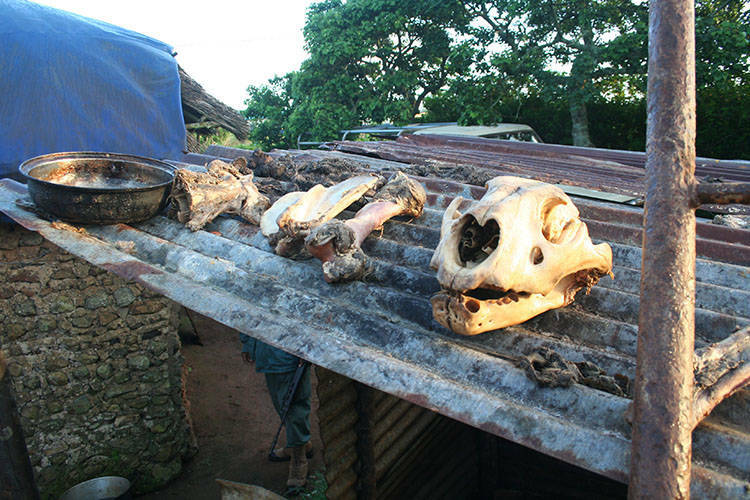 NGO Ban Animal Trading (Bat) wants the head of Mpho Tjiane, the South African representative to the Convention on International Trade in Endangered Species of Wild Fauna and Flora (CITES), to roll for lying about the Department of Environmental Affairs’ decision to increase South Africa’s lion bone export quote to 1500 skeletons. Last Wednesday, Tjiane, Deputy Director CITES Policy Development & Implementation at Department of Environmental Affairs (DEA), told Smaragda Louw, founder of Bat, that no decision has been made by the department on the quota. However,in the interim, a letter from Edna Molewa, Minister of Environmental Affairs, to Manketsi Tlhape, Member of Executive Council for the Department of Rural, Environmental and Agricultural Development in the North West Province. was leaked to the media. The letter, issued to Tlhape during the first week of June 2018, states that the DEA confirmed a quota of 1500 skeletons. Louw said she is furious about being lied to and is willing to supply an affidavit. “Why would he lie about it? Why would he lie to an organisation that fights for animal rights? It is absurd. Tjiane should be fired,” Louw said. As an alternative, she suggested that Tjiane should face a disciplinary hearing. Netwerk24 submitted questions to Tjiane about the matter. He requested that all questions should be directed to Albi Modise, spokesperson for the department. Modise answered via Whatsapp, saying that “these type of questions” may not be asked to Tjiane. He did not answer any questions that followed, however, it is clear that Modise read the messages. Louw implies that Tjiane probably lied to protect lion breeders or because he might have had to defend the decision at the CITES deliberation if the news was leaked. Louw said that South Africans cannot allow people who lie about the welfare of animals to make decisions about the environment. The welfare organization, Blood Lions, said in a statement on Tuesday that they abhor the department’s decision to proceed with the trading of lion bones. The organization has worked endlessly for the past 21 years to shut the canned lion industry down. The Endangered Wildlife Trust (EWT) said they are “very worried” about Molewa’s decision. They said there is no evidence to prove that increasing the quota for lion bones will decrease captive lion poaching. According to the EWT, there is a lot of confusion around who is responsible for captive bred lions . The DEA decides on their fate (whether they should be hunted or killed for their bones) while the Department of Agriculture, Forestry and Fisheries (DAFF) is responsible for their welfare. Various organisations are creating awareness online by Tweeting the hashtag #EdnaMustFall. *In the interim, Safari Club International announced to the Professional Hunter’s Association of South Africa (PHASA) that they will not be attending or sponsoring PHASA’s annual meeting this year, reason being that PHASA promotes canned trophy hunting.